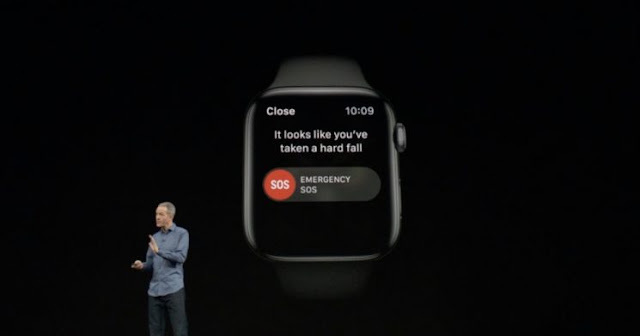 We told you before that Apple Watch Series 4 got a fall detection feature that if someone fell down very hard the Apple Watch will feel it and will call emergency after certain time if there was no respond from the user. By analyzing wrist trajectory and impact acceleration, Apple Watch sends the user an alert after a fall, which can be dismissed or used to initiate a call to emergency services. If Apple Watch senses immobility for 60 seconds after the notification, it will automatically call emergency services and send a message along with location to emergency contacts. Check out this video that tests the new fall detection feature on the Apple Watch Series 4.